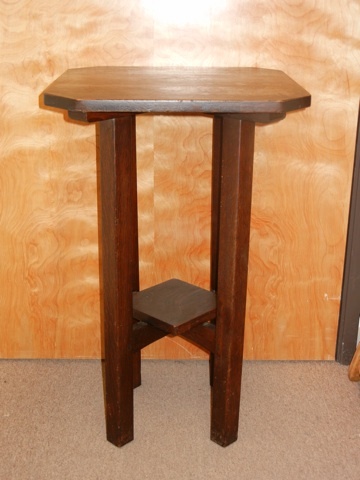 18″ x 18″ x 29″h Clip corner side table. Offset lower shelf. Signed. Color added over original finish.